Occasionally, you may want to overwrite a file with a newer/updated version. 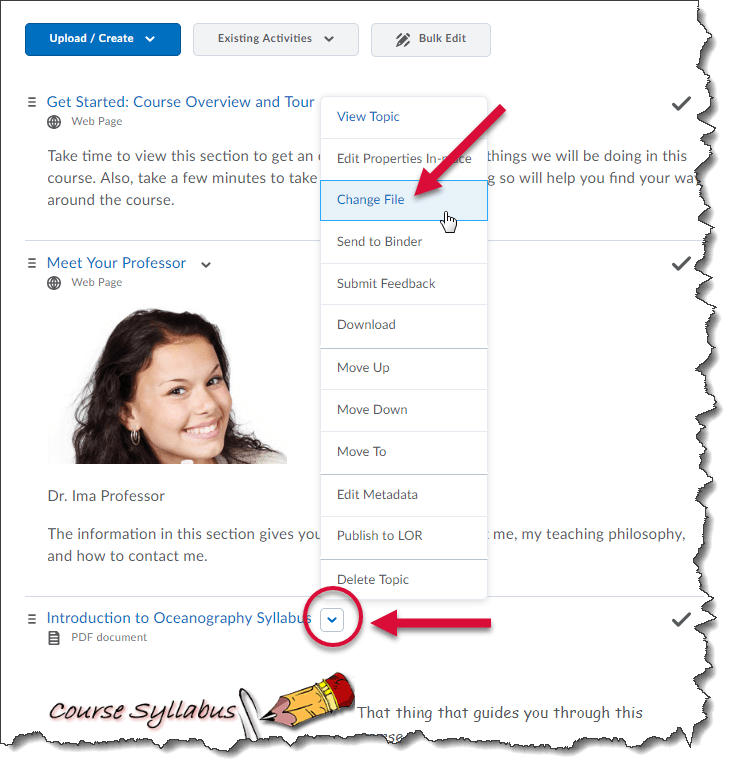 It is easy to replace or overwrite files in your Brightspace courses. From the context menu of the topic, select Change File. This will prompt you to upload a new file. Drag and drop the new file into the upload space or click Upload to browse for the new file. If you would like your students to receive a notification of the updated content, check the Notify students that the content has changed button. Students must have notifications turned on in their personal settings to see the notifications.